Beautiful, vicious, cheeky, scary, intelligent, psychopathic. These are some of the words people have used to describe the Australian Magpie since it was voted the 2017 Australian Bird Of The Year. Like its close contender, the White Ibis (or ‘bin chicken’), the magpie can elicit mixed emotions among its human neighbours. There are stories of befriending magpies in our backyards, of being welcomed home to Australia by a magpie’s song, and, of course, being swooped. So I decided to catch up with someone who spends most of his time learning about magpies, to ask him what he loves about them. If you’re ever at a public park around Melbourne, you might see a man standing alone, tossing handfuls of shredded mozzarella cheese, while whistling the theme song from The X-Files. This behaviour might sound eccentric, at best, but it serves a purpose. Farley Connelly is a PhD candidate at the University of Melbourne. He is researching how the problem-solving abilities of urban magpies compare to rural magpies, and whether they are affected by noise pollution. 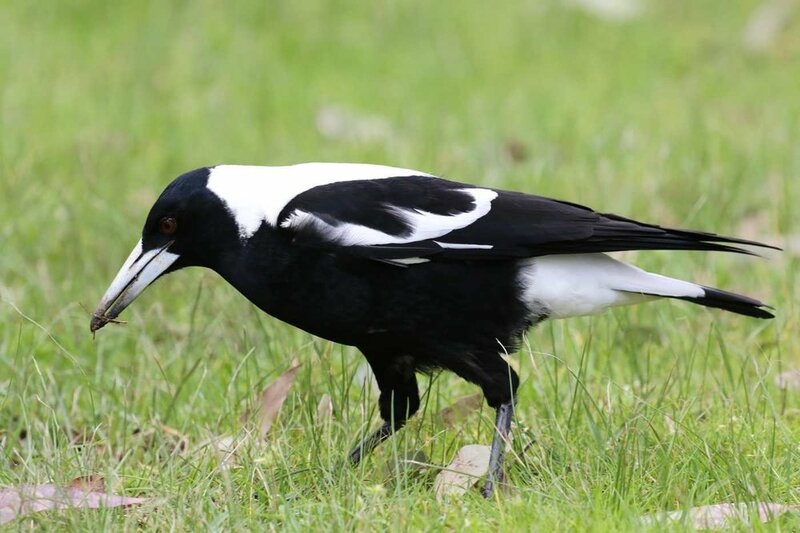 The cheese is used to train wild magpies to come when Connelly whistles, so that he can test their performance on various tasks. I asked Connelly for some of his favourite ‘fun facts’ about magpies. These were his responses. We tend to associate ‘play’ behaviour with mammals, such as our pet cats and dogs. But birds and other animals can play as well. Connelly says he often sees magpies playing with items like sticks, leaves and trash. The magpie’s song is one of Australia’s most quintessential sounds. Many of us have become so familiar with this song that we pay it no notice. But for those who don’t hear this melody every day, it can have a profound emotional impact. A friend from overseas once described her initial reaction as: Is this heaven? ‘I was recording it and sending it to everyone back home,’ she told us. The magpie’s song inspired their scientific name: Cracticus tibicen, where ‘tibicen’ means ‘piper’ or ‘flautist’. Magpies sing to reinforce their claim on their territory, mostly at dawn and dusk. But while we are all familiar with the magpie’s melodious carolling, we are perhaps less familiar with their other calls. Magpies use many different calls, including grunting noises, to communicate. If you’ve ever come across a magpie lying on its front, wings spread out to either side, don’t panic – it might just be sunbathing. Connelly says magpies sunbathe even when it’s not cold outside – much like an Aussie human on a summer’s day. Unlike humans, though, magpies will take turns bathing in a specific patch of dirt. Magpies can remember and recognise human faces, and will treat people differently depending on whether they think they are a “threat”. Unfortunately, humans are not quite as good at remembering and recognising magpie faces. To help him distinguish between different magpies, Connelly often needs to catch them and put a plastic identification band on their leg. As you might imagine, the magpies are not too pleased about being caught and handled. Given that magpies can also hold grudges for a long time, this could cause major problems for Connelly’s future research. To avoid this problem, Connelly – and other magpie researchers – must ensure that the magpie never sees who catches them. Connelly catches magpies in a trap that he controls from a distance, and keeps a hood over the magpie’s face while it is being handled. That way, the magpie doesn’t associate the person who caught them with the person who feeds them cheese and gets them to do problem-solving tasks. By feeding the magpies, Connelly also wins their trust. As part of his research, Connelly monitors magpie nests, which might sound terrifying for anyone who has ever inadvertently crossed paths with a breeding magpie. But as the cheese-bringer, Connelly can climb right up to a magpie’s nest without being attacked. For the rest of us, there is also a lesson here: be kind to the magpies in your neighbourhood, and they are more likely to be kind to you. While magpies might be better known for their aggression, they also display extremely submissive behaviours. ‘Young birds and subordinates will bow down and shake their tail feathers when a dominant male or female is near,’ Connelly explains. When people express their dislike of magpies, they usually refer to their swooping behaviour. Magpies are extremely protective of their nests and young, and will attack anyone that they think could be a threat. While this can be terrifying – and occasionally causes serious injuries – it shows off another attribute of magpies: they are good parents. Both parents care for their offspring. According to Connelly, males are much more aggressive when it comes to protection, although females help. Likewise, while females do more of the foraging and feeding, males also feed the young. The protectiveness of these parents is not unwarranted. Only around 10% of chicks survive. Almost all swooping occurs when magpies have chicks in their nest, when the parents have real reason to fear predation. And while some magpies can be particularly aggressive towards humans, most never make contact when they swoop. As with many species, not all magpies are raised by both a male and female parent either. In the last breeding season, Connelly saw two females nest together successfully. You can find plenty of tips to avoid being swooped by magpies, and how to respond if you do. But still, if you’re ever feeling irritated about needing to adjust your route to school or work, remember – the magpies are just trying to keep their chicks safe. Anne is a PhD candidate at the University of Melbourne, interested in conservation and the evolution of animal behaviour. One of her favourite books as a child was a field guide to Melbourne's spiders. She is currently researching how streetlights affect sleep in urban birds. You can find her on Twitter at @AnneAulsebrook. Banner image courtesy of Rowan Mott.